When you work to improve energy efficiency in your house, several things happen. First, you save money. By cutting back on the energy you consume, you immediately reduce your utility expenses. The next thing that happens is you find the best ways to manage your consumption. Finally, your appliances last a little longer. While it can be tempting to crank the air conditioning, bake cookies with the kids, and catch up on laundry in the middle of a hot summer day, doing these things are a waste of resources. 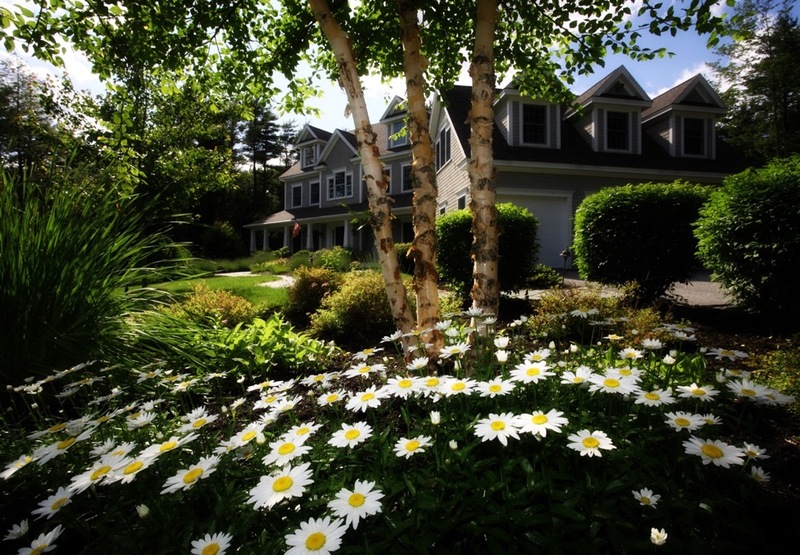 Instead, look at ways to improve your home’s efficiency during the summer months. The summer time is when allergies can be problematic. The pollen count is up, we are all outside more, and dust finds its way indoors much more often than during the winter. Make sure you have a good filtration system so you are less impacted by allergies. 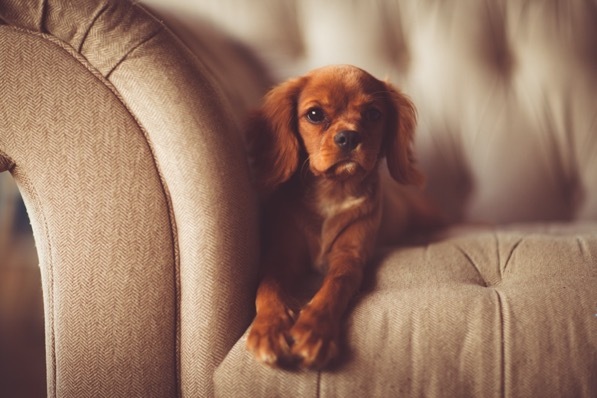 Pet dander and hair can add to the problem, so change your air filters every 60 days. If you have more than one pet or if someone in your household suffers from allergies, you may need to change your filters every 20-45 days. Replace your air filters every 90 days if you don’t have any pets. You can extend that to 6-12 months if you live alone or if you are just caring for a vacation home. Record the date on the side of the filters so you can easily track how often you need to change them. Heavily used rooms in your home may require more frequent filter replacement than other rooms. Changing your filters will help your air conditioning to function better, and you can breathe much easier and worry less about any pollution or allergens in the air. It is much harder to cool a house with improper sealing between the door jam and the wall, cracks, or loose windows. Check to see if you have any little cracks or spaces for the heat to sneak in. Sealing leaks in spaces like your basement will help prevent mold or other water damage. Use inexpensive foam or caulk from the hardware store to seal cracks where cold air escapes. Once a house is properly sealed and protected, it becomes much easier to keep it at the right temperature. While it can seem daunting to buy a new fridge, it is a shopping trip worth making. Energy Star labeled appliances will save you a lot of money by cutting back on your energy bills while still providing everything you need. Some state and local governments offer financial incentives for homeowners to upgrade their appliances to energy-efficient models. Check the online Database of State Incentives for Renewables and Efficiency (DSIRE) for incentives in your area. While classic incandescent bulbs may sell for much cheaper at the hardware store, it takes ten incandescent bulbs to equal the lifetime of a CFL. A CFL only costs about $22 over the course of its entire use and lasts for years. 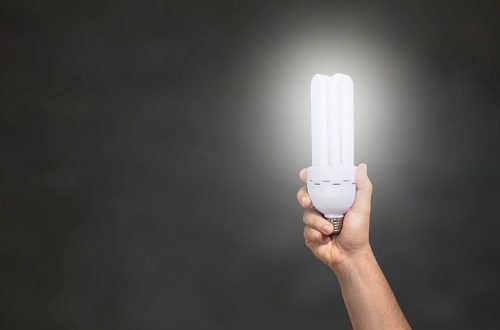 Do not let that lower number on the price tag at the store fool you—that yellow incandescent bulb will only run for about a year and cost you far more, as it needs a lot more energy just to light up a space normally. A traditional incandescent bulb works by heating up a little wire on the inside, but this process only converts a tiny amount of energy into light, as most of the work of the device becomes heat, not light. 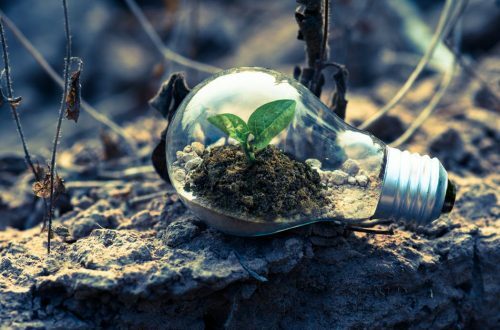 CFLs, on the other hand, are made of a tube that has a small amount of mercury and gas that easily converts into an ultraviolet light that is much easier for a bulb to maintain, making them the better choice. Some well-placed plants can shade some key locations. For instance, keeping shade-providing plants on your east and west facing walls will cool your home significantly, and making sure the wall with your cooling unit is shaded will help it be ten percent more efficient. How and what to plant will change based on where you are located. You will want to find a quick guide about how to best use vegetation for your location and style of home. Plants can make you much more comfortable as the temperature climbs. A double-paned window with a vinyl frame can help hold in the cool air in your home during the summer. If you have older, single-pane windows, it may be time to update them. You may also want tinted windows if you live in a particularly sunny place to get less clear, direct sunlight into your home. Closing the blinds or drawing the curtains can help to keep your house cooler and save energy during the hottest time of the day, which is usually noon until about 3 p.m. 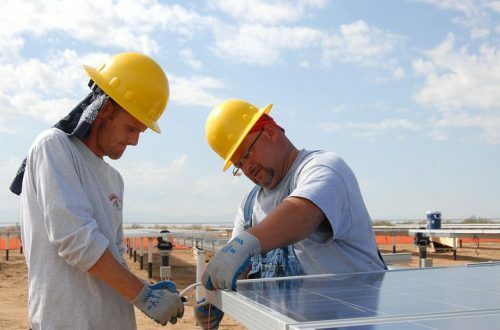 Many towns are creating incentives for homeowners to switch from grid electricity to independently-generated solar energy. Solar water heaters are also a good option for people who live in hot, sunny places and want to use less gas. Solar panels are dark rectangles that collect sunlight and convert it to energy for a single home. They can cost more initially, but they mean freedom from the electric company. Also, your city may offer tax incentives for energy conservation. The national site for energy has a quick state-by-state guide to help you see if you can benefit financially from options like solar panels or even wood stoves. With some good investments, you could end up saving a lot of money, as well as the environment. Once you have your house sealed, your windows updated, and your energy-efficient appliances in place, it is then critical to use each major appliance responsibly. Basic things like not leaving the refrigerator open for too long, not running your tumble dryer during the day, and not adjusting your thermostat over and over can really help your home manage its energy and get your costs down. For example, a programmable thermostat can help you enforce how high or low the temperature is in your home. The EPA estimates a homeowner can save $180 annually with a properly programmed unit. You can also unplug smaller things like laptops, chargers, or the toaster to keep from leaching electricity from your connections. It does not seem like a lot, but little moves like this really help to improve energy efficiency. According to the Department of Energy, leaving your cable box plugged in costs $17.83 per year. So, doing a nightly sweep to make sure all appliances are turned off can result in significant savings for you and a more energy-efficient home. An energy audit is a review of your home by a professional to have a look at how your energy use is affecting your costs and the surrounding environment. The auditor will also look for basic ways you can get your consumption down and save a lot of money. Your audit should only take a few hours and is easy to schedule. Again, it may cost a little, initially, but, with a basic review, your audit will save you money in the long run. You can find an auditor in your area with this directory from the Residential Energy Services Network, (RESNET).